As R.E.M’s Lifes Rich Pageant turns 30 Getintothis‘ Chris Flack reflects on his personal relationship to the band and their impact on a generation. 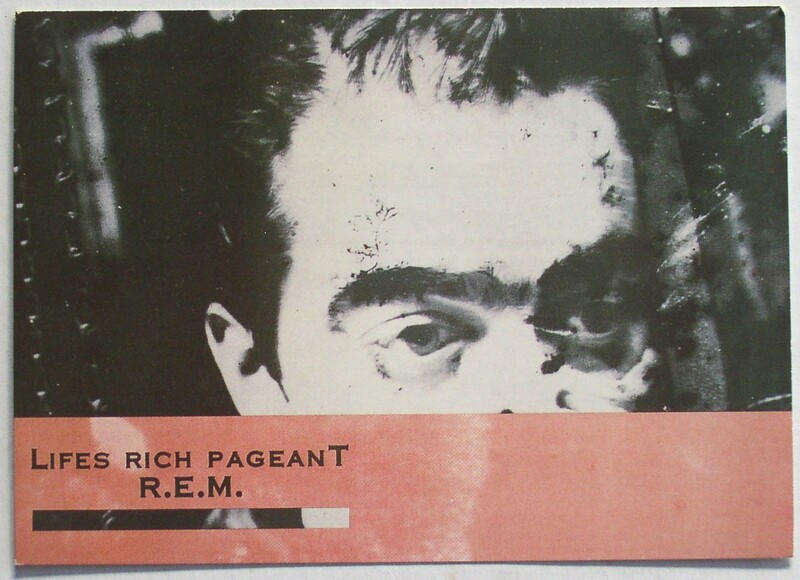 It would be a lie to say we remember the release of Lifes Rich Pageant on July 28, 1986. We would have been running round the estate, building huts by the army base and playing on abandoned railway lines. It was a while before we discovered music and longer still before we found R.E.M, but what a find it would turn out to be. The first big gig this writer ever got to was R.E.M. at Slane Castle, just outside Dublin. The year was 1995, the date was July 22 and we were all in our late teens and early 20’s. A bus load of us set off in the wee small hours to make the trek and beat the queues at the gates. The show was intense, primal almost, it remains the gig of a lifetime for many of us. It was the moment we truly fell in love with the most amazing band we had ever seen. It was a turning point for thousands of people’s lives, a moment in time that a generation returns to. We had listened to nothing but R.E.M. for the previous six months, there simply was nothing else, this show had to be amazing. That this gig was part of the now infamous Monster tour meant months of worry that it might not actually happen. Between aneurysms and appendectomies, a punishing tour schedule the band seemingly weren’t ready for and the usual last minute licensing blips, the fear was palpable. When the band cancelled a slew of shows at the start of the summer we were crest fallen. It was momentous to finally walk through those gates and downhill toward the stage. Just 10 rows from the front, we huddled and spent the day baying like wild animals, wailing, screaming, bartering for slops from half drank pint glasses and begging strangers for warm water in a desperate attempt not to surrender our spot. We would not be moved. In the space of 10 hours on a balmy day that we fell in love, had our hearts broken, cemented friendships and made new ones that have lasted a lifetime. One case in point involved our friend Danny who was swept off his feet by the tiny Roisin who was swept off her feet by the crowd at around 6.30pm, never to be seen again. The poor man was distraught. With support from Luka Bloom, Spearhead, Belly, Sharon Shannon and Oasis the day went by in a blur. The moment we spotted the rigger high above the stage strapping himself into a spotlight we collectively held our breath, 80,000 people just stopped. The Stipe was near. The moment was upon us. This was one of the most hyped Slane shows in years and it was about to go off. For 23 beautiful songs we sang, we swore, we wept and we applauded the human pyramids. We were surrounded by love and joy and at one point actual fire. 80,000 people set fire to paper cups and held them aloft during Everybody Hurts. It was the most beautiful thing we’d ever witnessed. They didn’t play a single song from Lifes Rich Pageant, but that was fine, they were there, we were there, it was phenomenal. A few of us stumbled into R.E.M. towards the end of 1994, there was something about Monster that drew us in. Within four months of its release we had bought every single R.E.M. record we could collectively lay our hands on, there were weeks when it was like swop shop on speed. It was fortuitous that one of our number worked in the local record shop and could order whatever we wanted from wherever we wanted (God bless the Pop In and may she rest in peace). Out of Time and Automatic for the People had been around but they didn’t do it for us at first. Monster was different. Monster arrived in a wave of screeching guitars, thunderous drums, gut wrenching bass, indecipherable lyrics and a cacophonous noise we couldn’t get enough of. It was 1995, we were awash with guitars, we talked about American garage bands, Manchester shoe gazers, Sheffield pop, Oxford grunge and that London swagger. After Monster we found Green, then, Murmur. Fables of the Reconstruction followed, we were all floored. As we passed round the albums and the rarities we couldn’t believe what we were hearing. How could four gentlemen from the South produce such an amazing body of work in such a short space of time? Albums old and new! Check out Getintothis’ look at some of the greatest – and potentially greatest – records ever made. 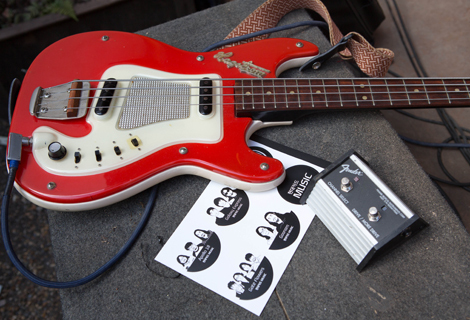 Slap bang in the middle was their fourth album Lifes Rich Pageant. For many the true masterpiece; the one record that pulls every album they’ve produced together. It is the centre, the start of any journey into R.E.M. It was the last album that could be considered as coming from an underground band. This was the record that launched R.E.M, lifted them from college rock to something higher; a band to be reckoned with, a band that had something powerful to say. Ironically, the majority of Lifes Rich Pageant is a proclamation that demanded we unplug the headphones and do something. On opener Begin the Begin – which Stipe referred to as “a song of personal, political activism” -we hear the beguiling line ‘Silence means security silence means approval’ and like the rest of the album it is bursting with intent. Never a single, but one fans took to their heart, leading to it’s inclusion on several hits compilations. 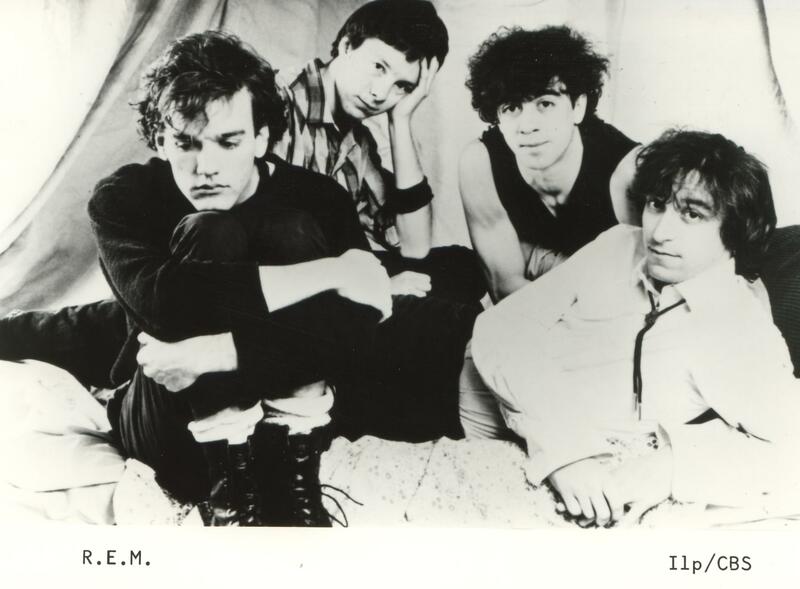 Likewise, These Days ranks as many peoples favourite R.E.M. 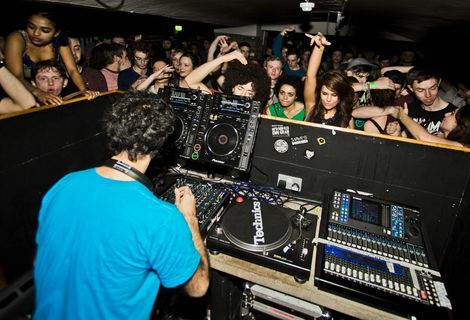 tracks of all time – it appears on nearly every list. It is a demand to get up and do something positive, something useful. It is a promise that while so many people have lost their head and their dreams, there is hope, somewhere. The antidote is to share the burden, carry the man. To a horde of teenagers and the rest lyrics like “I had a hat and it sunk, Reached down, yanked it up, slapped it on my head” were a call to arms. It was a reminder you could pick yourself up and dust yourself down, Stipe was leading the charge and we had to file in behind. “Let’s put our heads together, and start a new country up,” he pleads on Cuyahoga, a call to save the world, make a change. Cuyahoga is one of R.E.M.‘s earliest environmentally-charged songs, but is also steeped in American history. As much as the lyric evokes imagery of pollution in Ohio’s Cuyahoga River, they also use it as a clever metaphor for America’s lost promises. What was once an area of beauty, where the Native Americans resided, has gradually become one of the most ugly and disgusting parts of the country. Lifes Rich Pageant tackles everything from lost hope to nuclear disarmament and the absurdity of life itself. The album is named after a quote by Peter Sellers as Inspector Clouseau, the very epicentre of absurdity. This album takes you on a journey of the soul, pulls you in and shares a joke. Lifes Rich Pageant has a “dinner” and a “supper” side, each closes with a song that show the bands infectious humour. Underneath The Bunker and Superman – the latter a cover of a song by obscure 60s sunshine pop group The Clique, and features Mike Mills on vocals – couldn’t be further apart on any scale but they both play a crucial role in understanding the records core in that regard. This is different from anything that had come before it, and pulls out the bands strengths and there is a glorious clash between the sonic shock and the sweet gentle chorus R.E.M. played out across their career. The fuzziness of the earlier records is evident but here they add piano, banjo and accordion. 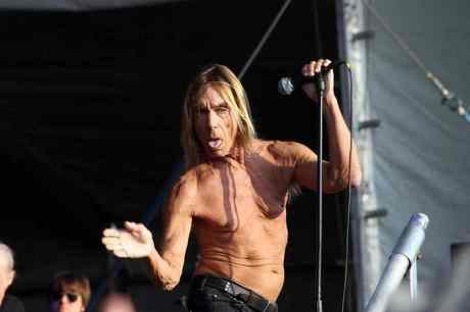 This created a sound that perfectly emphasised Stipe‘s poetry. Every single note is there with intent, every note has a purpose. While the album is a work of art the B sides and out takes lend a new level to understanding what made R.E.M. tick in a tumultuous year. The 1993 I.R.S. reissue has a scratchy demo like version of Toys in the Attic that is spectacular, the 2011 25th Anniversary Edition has a stunning demo of What If We Give It Away? that adds another layer to the story. 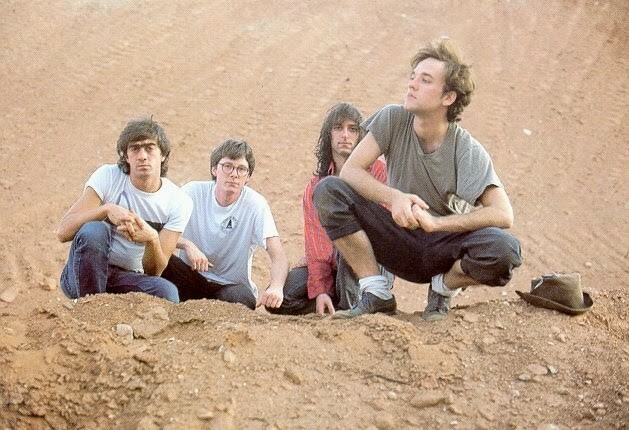 Some of the old crowd were lucky enough to see R.E.M. in 2007 at the Olympia Theatre in Dublin as part of their Live Rehearsals residency. It was almost like a reunion, we felt like the chosen few. Elated by the opportunity, we almost flew over the rooftops to get there. Over the course of five nights R.E.M. rehearsed for a tour that never came. They played songs from every record they’d released and a few they hadn’t. They introduced a slew of new material, they printed the wrong lyrics off the internet and stopped and started as they needed to. They played the B Sides, the rarities, the oddities and a cover or two were thrown in for good measure. It was joy personified. We watched from the balcony and wept, every one of us. We had no idea it would be the last time we would see them live. The band announced their split in the autumn of 2011 but their music will continue to inspire and play a part many lives as it has and will do for us.